Hey, everyone! I hope you're all enjoying the holiday season. I wanted to give you a quick update on the progress of episode 3. 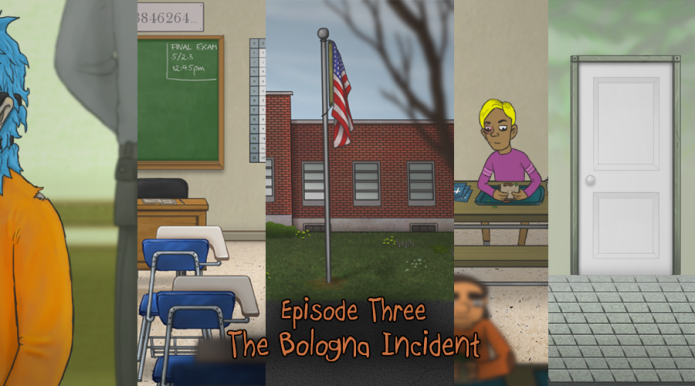 Recently, the title was revealed: The Bologna Incident! Along with a small peek into some of the scenes from the new episode (above image). Development is going very well and my hope is to be able to start testing and working on translations next month, then release sometime in February or March. That's my rough estimate for now but I'll keep you updated as I get closer! 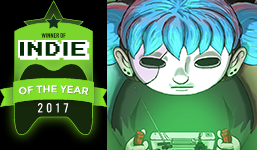 Additionally, if you could take a second to vote for Sally Face on Indie DB for "Indie Game of the Year" I would appreciate that very much!